Dressing table / occasional chairs in weave. 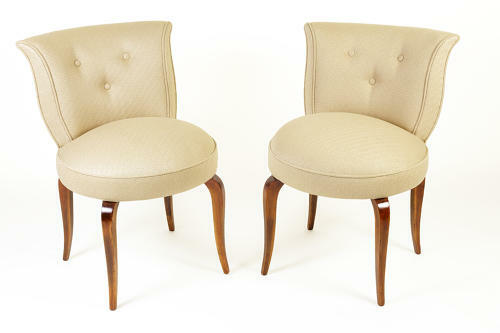 Pair of French Art Deco chairs that can be sold individually. Reupholstered in a cream /gold weave by Lelievre, Paris. Restored and in perfect condition. The seat measures 42 cm deep and 50 cm wide.